Here is a Classic Wedding Table Card we created for a wedding in London, England. 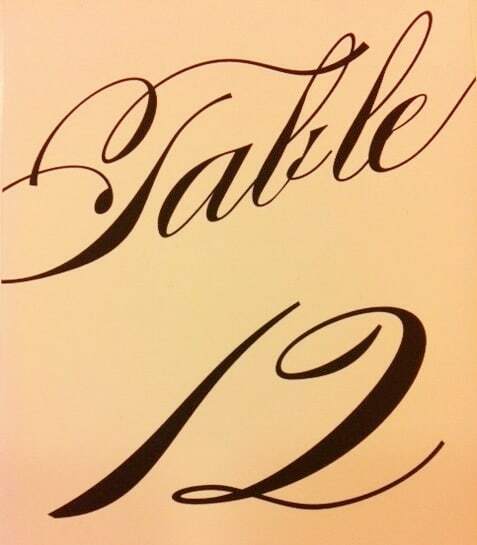 Jacques calligraphed the table numbers onto the tick ecru stock with black ink using Hyegraph’s Digital Calligraphy in Burgus Font Style. You can see our couple’s Custom Wedding Menu Card which we created with matching font style Burgus. These Wedding Table Cards are stylish, chick and functional directing your Wedding Party Guests to sit at the designated tables without any confusion on your wedding day! You can see more of our Wedding Ideas on our BLOG and WEBSITE. 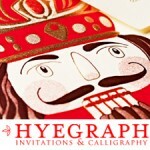 The Price for the custom wedding card is $1.75. 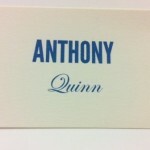 The Price for Wedding Envelopes addressed with Calligraphy Service is $1.00. The price for the Return Address Printed on the Wedding Envelope Flap is $.50.